One of my favorite parts about Christmas are the desserts and nothing is more delicious than a cupcake topped high with sweet icing! These Christmas cupcakes are perfect for your holiday parties, baking exchanges and even as sweet gifts for friends and family. This is a collection of cupcakes from other talented bakers and bloggers. Click on the title of each to open the recipes in a new window. For more creative Christmas ideas, visit our Christmas Fun page for free printable games & more sweet treat ideas. 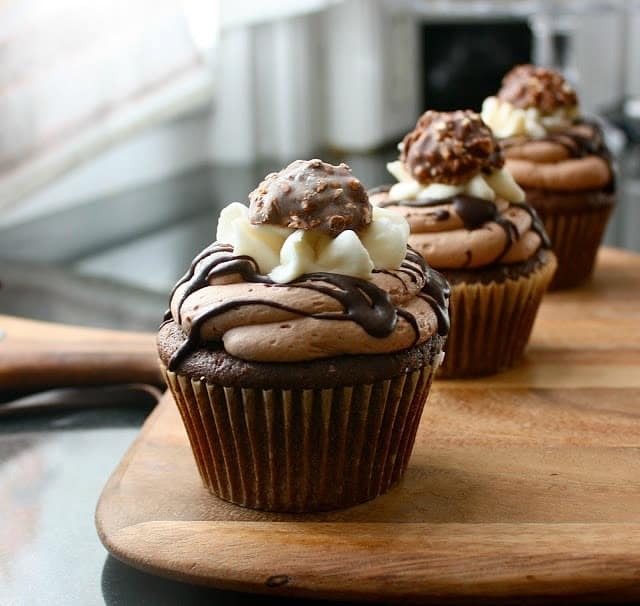 These Nutella Cupcakes topped with Ferrero Rocher (pictured above) by Erica’s Cannella Vita are sure to disappear quickly from the holiday dessert table. 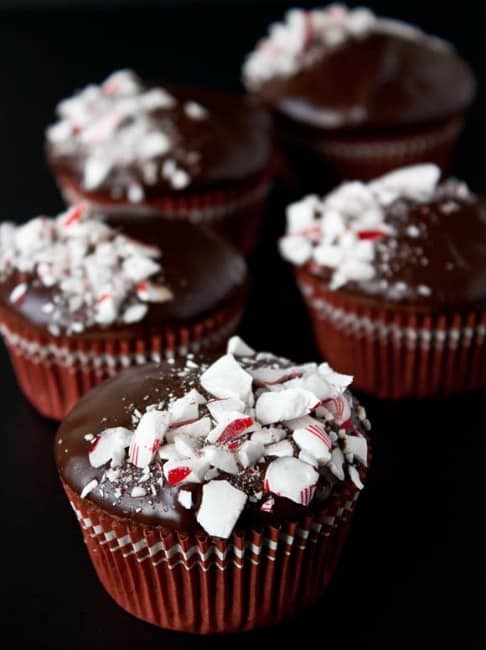 These Chocolate Peppermint Crunch Cupcakes by Dessert For Two will be the star of your baking exchange this year! 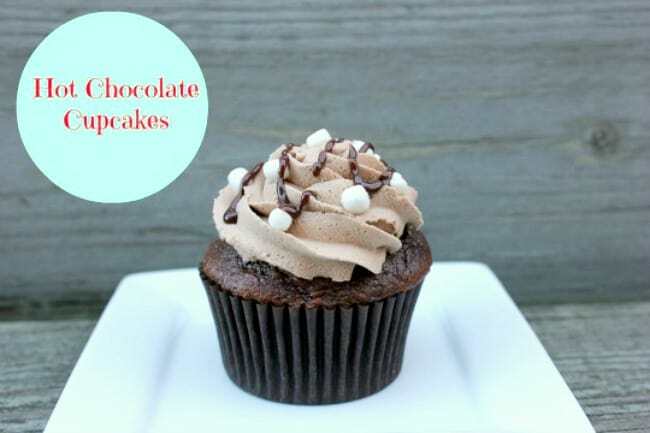 These Hot Cocoa Cupcakes by Lick The Bowl Good were featured in People Magazine so you know they must be amazing, right? 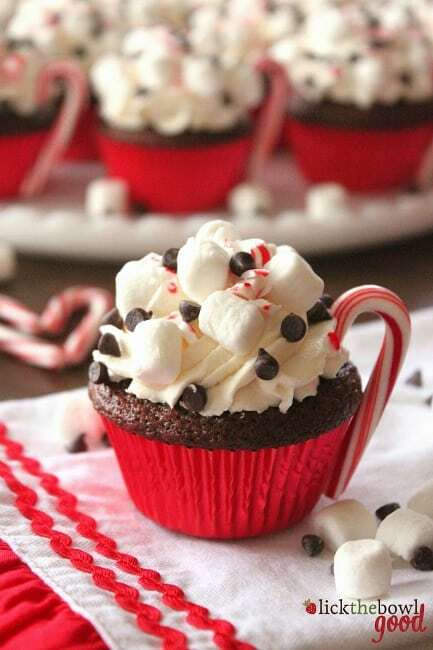 Hot Chocolate Cupcakes with Peppermint Marshmallow Frosting…need I say more? These cupcakes by Cherished Bliss are so unique and they look so delicious. 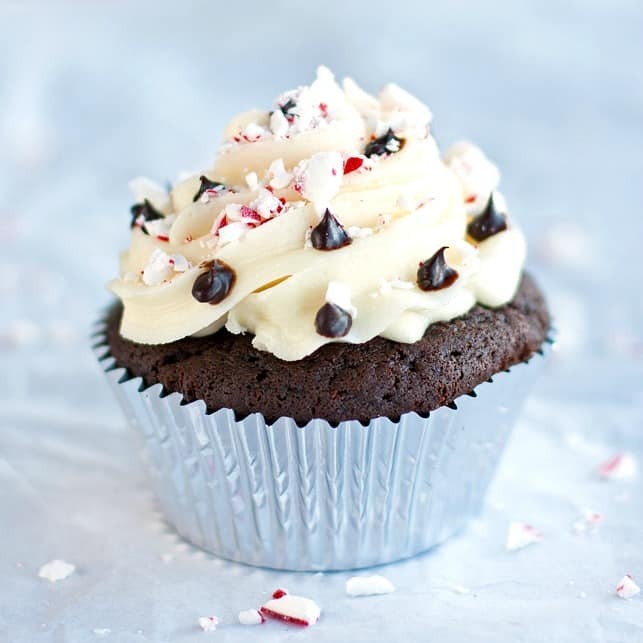 I’m pretty sure that I could eat a full bowl of the peppermint icing on these Peppermint Chocolate Cupcakes by 2 Teaspoons. 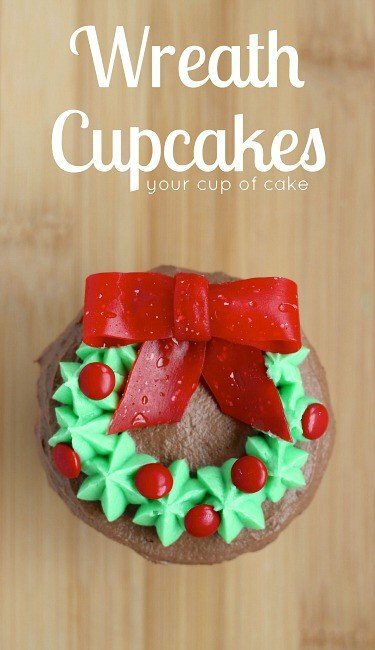 These Wreath Cupcakes by Your Cup of Cake are adorable! I’m just learning how to use all the tools in my cake decorating kit but I’m sure I could make these. 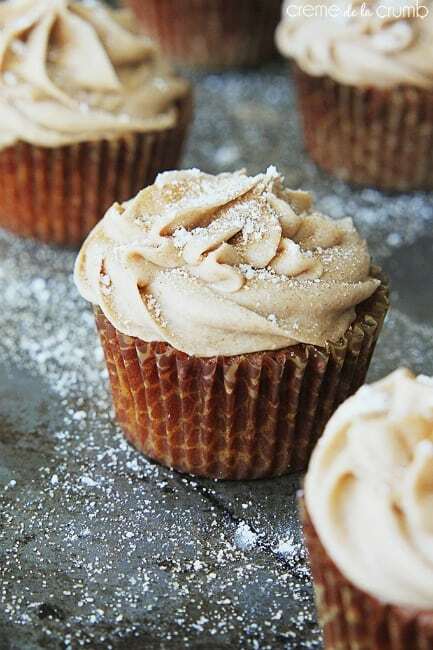 These Gingerbread Cupcakes by Lady Behind The Curtain have a browned butter frosting. I’ve never tried it but it sounds delicious! 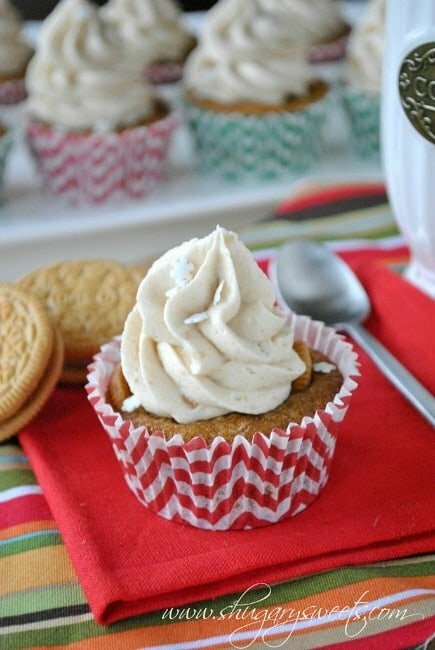 These Gingerbread Cupcakes by Creme de la Crumb are topped with irresistible cinnamon cream cheese frosting. Christmas wouldn’t be the same without some tasty gingerbread recipes. 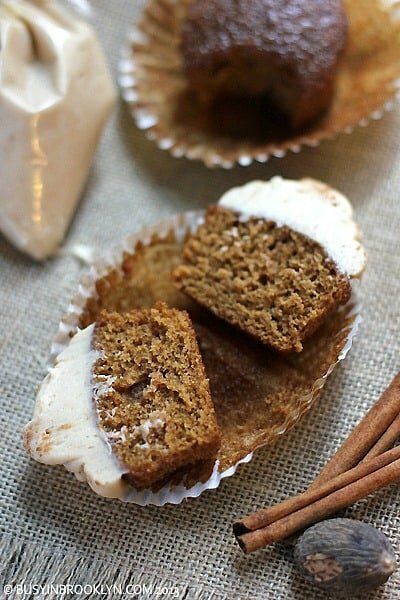 These Gingerbread Cupcakes with Brown Sugar Cream Cheese Frosting by Busy in Brooklyn look so good! I’d skip the gingerbread house this year to make these instead. Did you know that there are special holiday Gingerbread Oreo cookies? 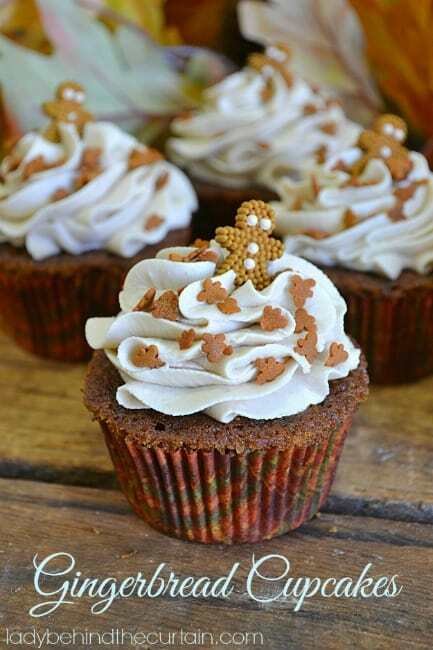 Shugary Sweets shows us how to use them in delicious Gingerbread Cupcakes. Hot chocolate frosting with mini marshmallows? Yes, please! 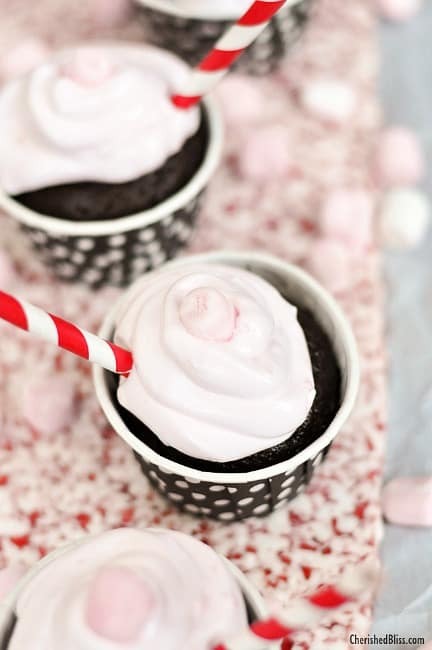 These Hot Chocolate Cupcakes by Me And My Pink Mixer look both cute & delicious. 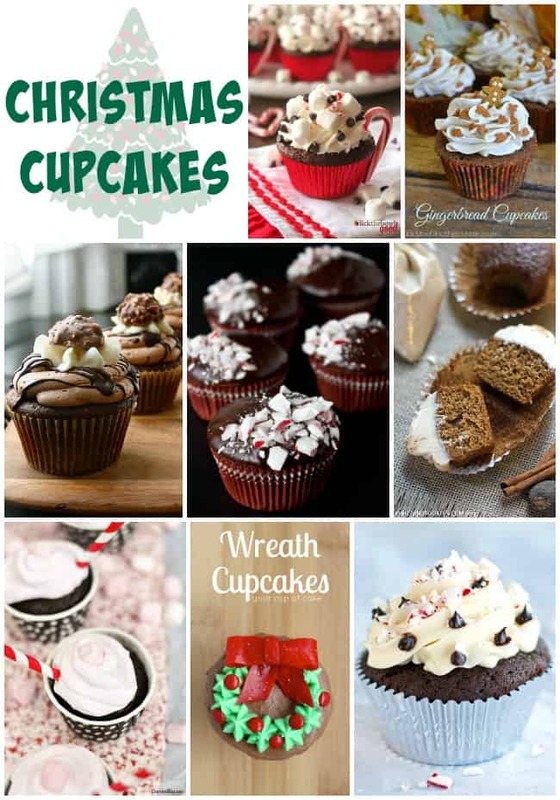 We have a huge collection of cupcake ideas! Visit our special Cupcake category to see more ideas that will leave you drooling. 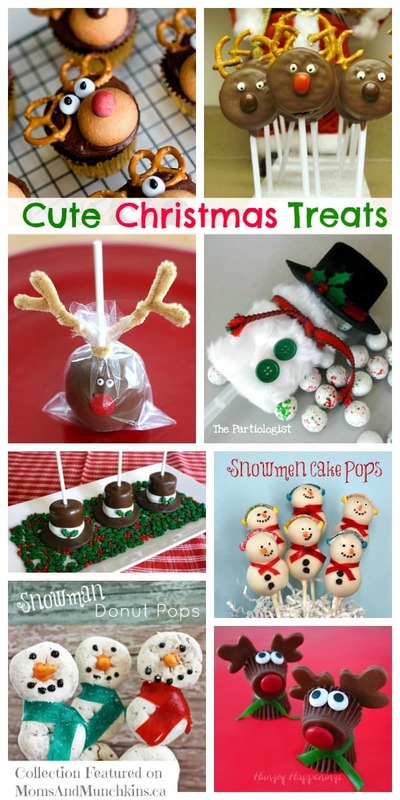 For more adorable Christmas creations, check out this collection of Cute Christmas Treats. We’re always adding new & delicious ideas. Never miss an update by following us on Facebook, Twitter, Pinterest, Google + and Bloglovin’ for the latest ideas. What gorgeous looking cupcakes, I love cupcakes!! All these cupcakes look so delicious! They are another reason Christmas should last all year long.